MKC Architects has been selected as the designer and architect for a second student housing project at Cleary University in Howell, Michigan. 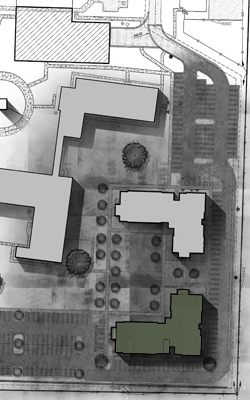 The building uses a similar form and organization as the first project, creating a mirrored layout that provides a student courtyard between the two. Using well-composed material formations and natural light, this student residence will capstone a residential part of campus - creating a new hub for students to live, play, and study. The new building is dorm-style units in lieu of apartments, and is expected to be completed by the start of school year in August 2018.